Worldwide, women’s salaries are 23% lower than those of men. And the situation is pretty much the same in Germany, where females earn 21% less than men. In the art world, women are paid staggering 47.6% less than their male counterparts. The same thing happens in sports, where women get salaries 23% lower than men’s pay. But wait, there’s more: when you thought this was just enough to prove that women are still considered inferior to men, fashion industry hops in to reflect on the exact same thing. 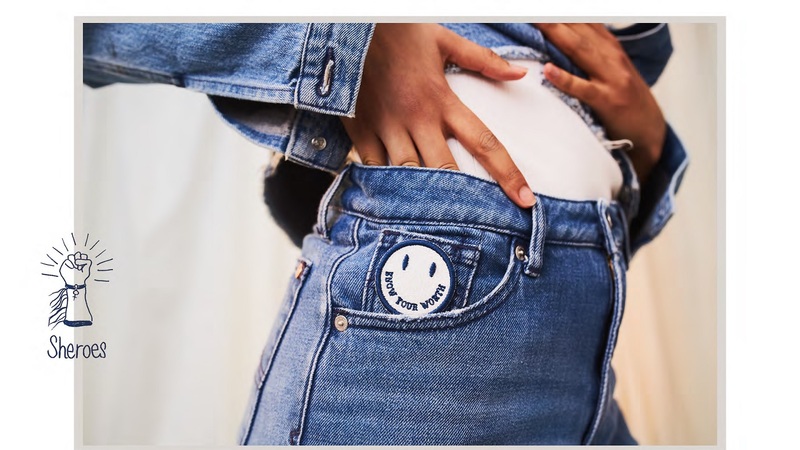 Have you ever thought about denim pockets? You haven’t? Well then, let Kings of Indigo enlighten you: women’s jeans pockets are around 48% smaller than men’s ones. That doesn’t seem fair, does it? This is just as if someone was trying to prove that, indeed, women should be financially compensated less than their male counterparts. Yet, the denim brand, which collaborated with creative agency DDB Berlin, wants to prove people who say that wrong. 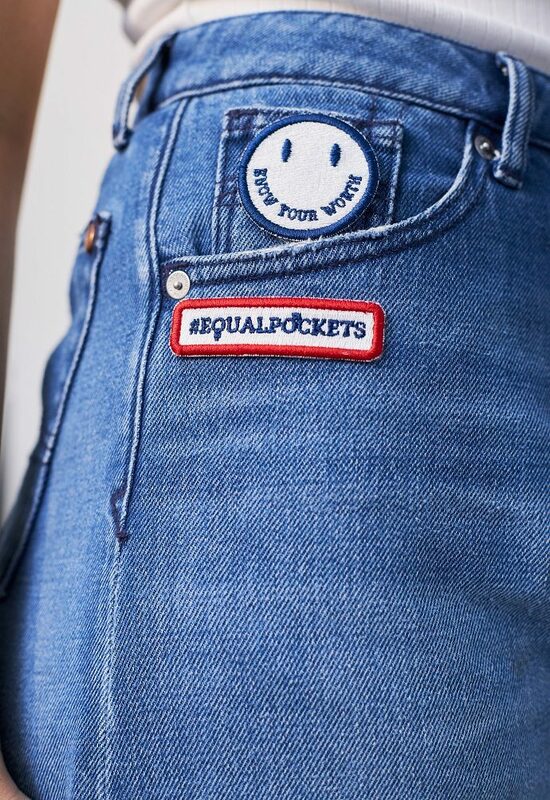 Together they launched #EqualPockets jeans collection as a symbol for equal pay. This way, the denim pants have become the world’s first jeans with pockets as equally deep as the ones of men. The deeper pockets represent a statement of wealth, so why shouldn’t ladies wear denim with pockets just as deep? The one-of-a-kind collection includes three women’s jeans. Their front pockets are lengthened with extra lining to match the pocket of an average male jeans. 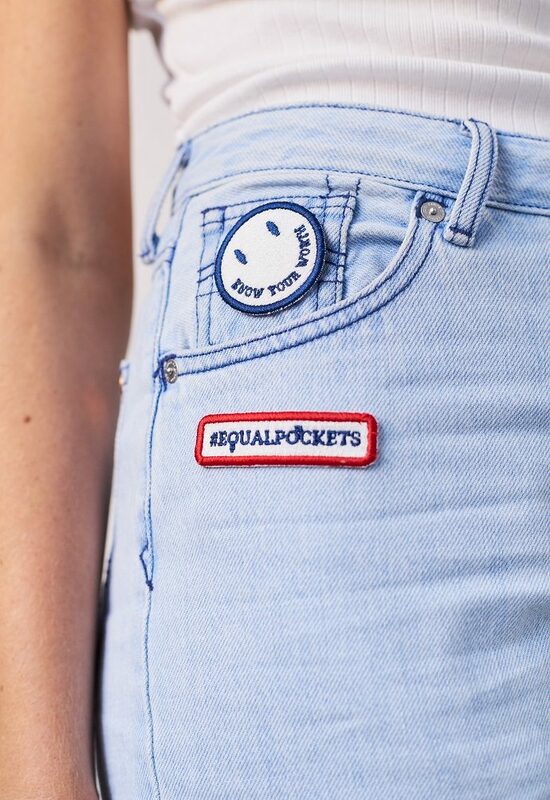 The “equal” pockets were designed by Dutch illustrator Salimah Gablan, who also stands behind a project in which the artist created artwork with empowering visuals and motivational quotes from famous strong women known to stand up for themselves. Just like the new lining, the limited-edition denim jeans are banded with a special #EqualPockets patch. Plus, the collection comes with three statement campaign badges for accessorizing. Female influencers such as Nanda Schwarz, Sarah Feingold, Nicole Huisman, and many others who work in the fashion industry, social activism, and female empowerment have joined the cause and fight to raise awareness for this kind campaign. The first limited-edition of the #EqualPockets Collection is now available to pre-order at kingsofindigo.com/equalpockets and is going to be available in stores soon. All profits from the sales will go to projects supporting equality in payment. So, tell us, how cool would you feel dressed in such jeans?